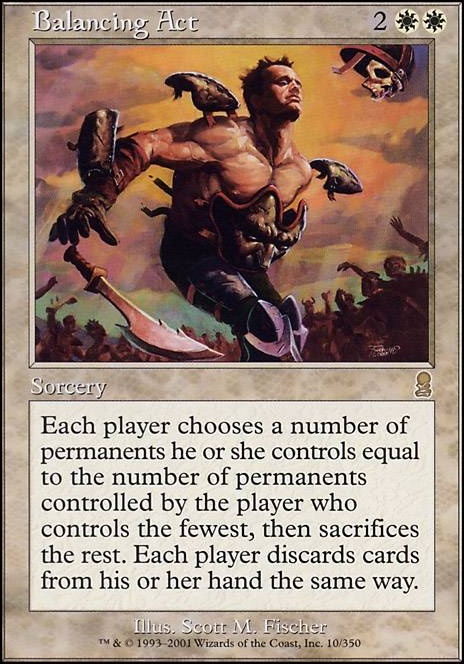 Each player chooses a number of permanents he or she controls equal to the number of permanents controlled by the player who controls the fewest, then sacrifices the rest. Each player discards cards the same way. Hello, I was wondering how the deck was playing with only 34 lands? 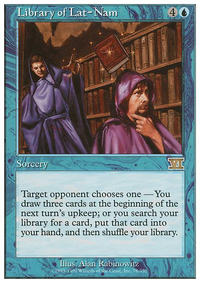 Also I´m curious about Rebuff the Wicked and Mana Tithe, I could imagine them as dead cards in your hand too often. 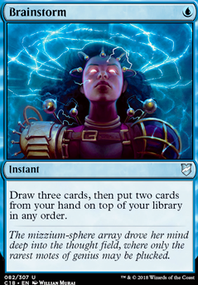 I run Lapse of Certainty and it is hilarious, but the 2 other counterspells are too corner case to be useful, in my opinion. 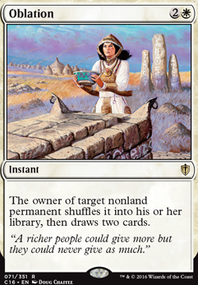 Balancing Act is a great addition, and I´m gonna try to get my hands on a copy for my paper Darien deck. Extra turns as you know. I run a few creatures just because it speeds up the clock immensely. I try to keep my stuff within castable range so if Yennett is dealt with, I can keep going. It adds more resiliency. THis is also not tuned to the max just cuz I'm playing against mid to high tier decks with this list. 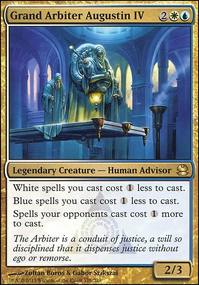 Again, creatures help, but if you want ways to kill people, steal their stuff or maybe consider Baneful Omen or other similar effects that gain value over time since you're going to be taking turns. Alternatively just blow people's stuff up with Balancing Act type cards with yennett out. People will hate you even more than before tho. TheCardPool on you don't need mana to play magic!!!! 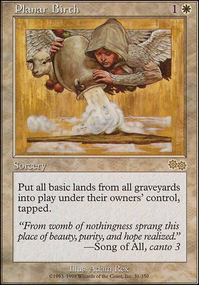 Not really a direct win condition, but Balance, Balancing Act, and Restore Balance can all nuke a field after Tomb of Urami activates. control can leave you with a 5/5 flier against an empty board. The rule 702.25b says "If a permanent phases out, its status changes to phased out. Except for rules and effects that specifically mention phased-out permanents, a phased-out permanent is treated as though it does not exist." So I'm pretty sure this works but want to confirm. 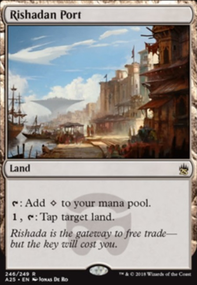 Let's say I tap for enough mana then cast Teferi's Protection . It resolves and all my permanents phase out. Then I cast Balancing Act. This should mean that my opponents have to sacrifice all their permanents as I currently have 0. Is this correct? 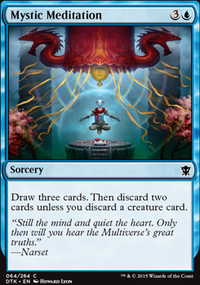 What about things like Balancing Act and Cataclysm, and Cataclysmic Gearhulk?